Kansas law on insurance requires drivers who cause accidents to pay for the damages and injuries caused. To fulfill this requirement, you must insure your car. In this article, we have more information regarding Kansas Car Insurance requirements, rates, discounts, premiums and other useful information that may be helpful to you. Uninsured and underinsured motorist insurance. $10,000 for property damage, per accident. $50,000 for total death or injury, per accident (this is applicable on multiple victims of the said accident). $2,000 for funeral, burial or cremation expenses. 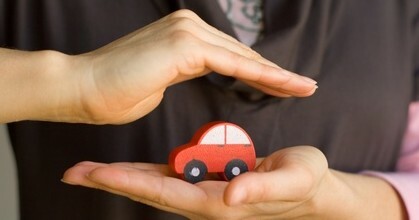 Comprehensive – Covers all damages to your car not necessarily caused by accidents. NOTE: Comprehensive and Collision car insurance coverages are not required by law but they are needed by your financing institution if you are paying your car finance through a loan or a lease agreement. You should not dare to violate Kansas’ car insurance laws. Any violation will lead to indefinite suspension of your driver’s license. Most car insurance companies in Kansas have a right to turn down high risk drivers having poor records of driving that result to accidents. If you are unable to find a good insurance company for your vehicle elsewhere, you may use the Kansas Automobile Insurance Plan. This body can assist you to obtain car insurance if you are considered a high-risk driver. Contact any car insurance agent in Kansas for information on how to get started. The Kansas Insurance Department (KID) may help you if you have any issue concerning your car insurance. You can contact this department if you have any complaint or concern on insurance fraud. If you have any car insurance complaint, you must try to settle it with your Kansas car insurance company before reporting the matter to KID or any arbitration body. If you fail to resolve the issue with your car insurance company, you can then proceed to file a complaint at KID website. This can be done online. Insurance fraud causes financial burden to both car insurance companies and yourself. Any losses can trickle down to you and increase your insurance rates and premium. Medical professional overcharging treatment costs. You can help fight these frauds by reporting them to your nearest local KID office or through KID website.